Born in Saksild, Denmark, Magne Bisgaard had to move to Copenhagen to gain his veterinary qualification at the Royal Veterinary and Agricultural University (RVAU) in 1972. Subsequently, he completed exams in food microbiology and administration in the Department of Veterinary Microbiology (DVM), RVAU. In 1973, he joined the staff of the new Institute for Avian Diseases of the Ministry of Agriculture. He headed the institute from 1986 to 1990, when it was merged with the State Veterinary Serum Laboratory. He was appointed Professor of Diseases of Poultry in DVM, RVAU, in 1986. In 1990 he founded a new section of Poultry Diseases in DVM and jointly headed the DVM for a period of nine years. He also founded the Network for Smallholder Poultry Development together with colleagues, aimed at supporting research and education in developing countries. Research has been the driving force throughout his career, and for this reason he refused to give up laboratory work during his years as head of institute/department. Although areas of research varied, understanding the development of disease in large populations caused by potential bacterial pathogens has always been given priority, to improve prevention strategies. Although best known for his work on bacterial infections, Magne has also published work on antibiotic resistance, infectious bronchitis, Newcastle disease, infectious bursal disease, chicken anaemia and parasitic infections. As an adviser to the Danish Poultry Council and based upon his research on the epidemiology of Salmonella infections, Magne devised an eradication programme for these infections in poultry in Denmark. 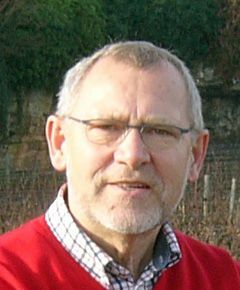 Magne retired in 2012, but is still active in research. So far, he has published 233 papers in peer-reviewed journals and more than 500 papers in total. His contribution to research was recognised by the C.O. Jensen award in 1983, and in 2011 his contribution and dedication to research on Pasteurellaceae was honoured by naming a new genus Bisgaardia. Outside work, Magne and his family have a passion for Burgundy, its wine and gastronomy, and the people behind these delights. In addition, he has a keen interest in classic music and history.